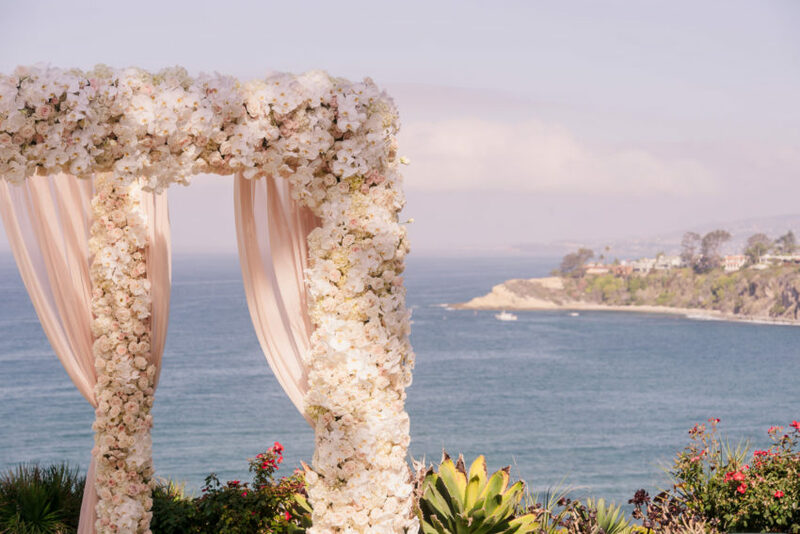 Angel and Mike had a fairytale-like wedding at The Ritz-Carlton, Laguna Niguel. 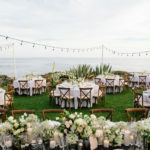 The couple said their I Do’s beneath a floral-filled arch with the Pacific Ocean as a backdrop on a glistening California day. 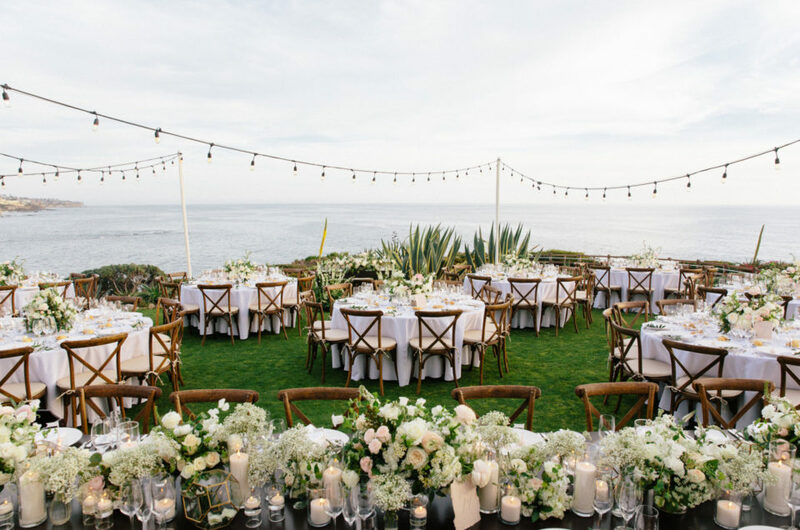 “Mike wanted a scenic wedding by the beach, I wanted the fairytale wedding look with flowers everywhere. 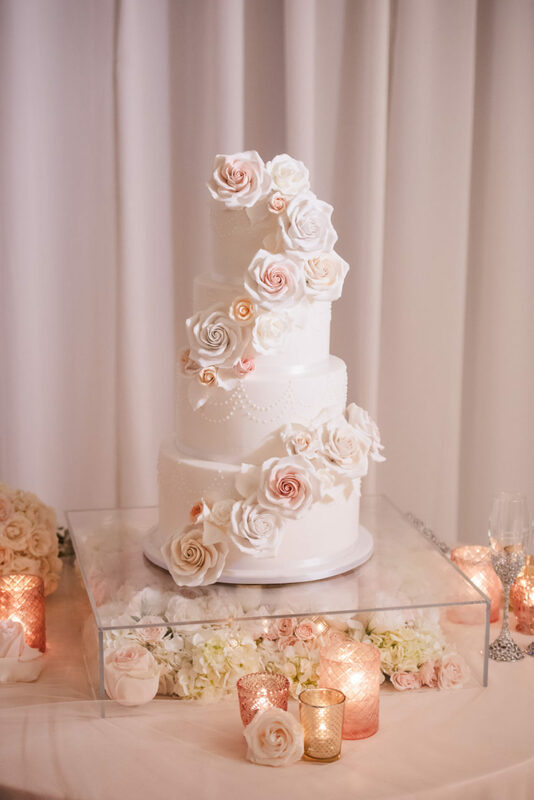 I wanted a romantic and elegant look so I picked pink and ivory as the central theme of the wedding,” Angel said. 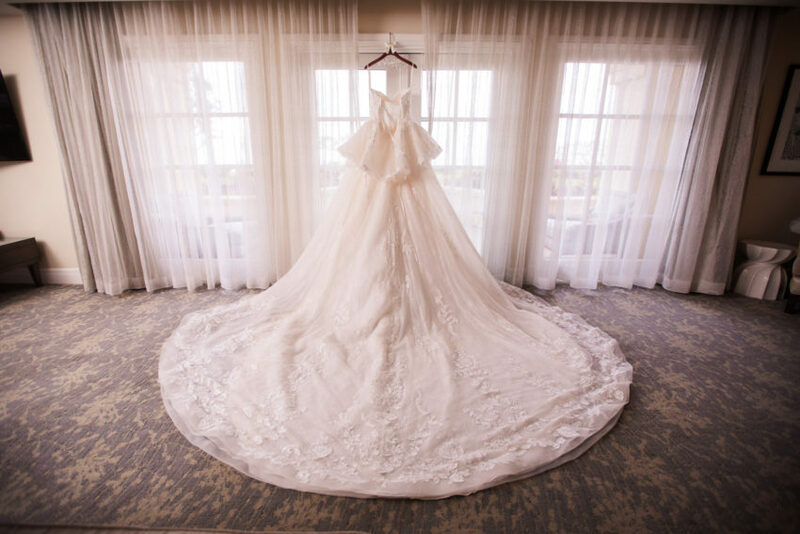 The bride looked beautiful in a custom-made lace bridal gown complete with a breathtaking train. 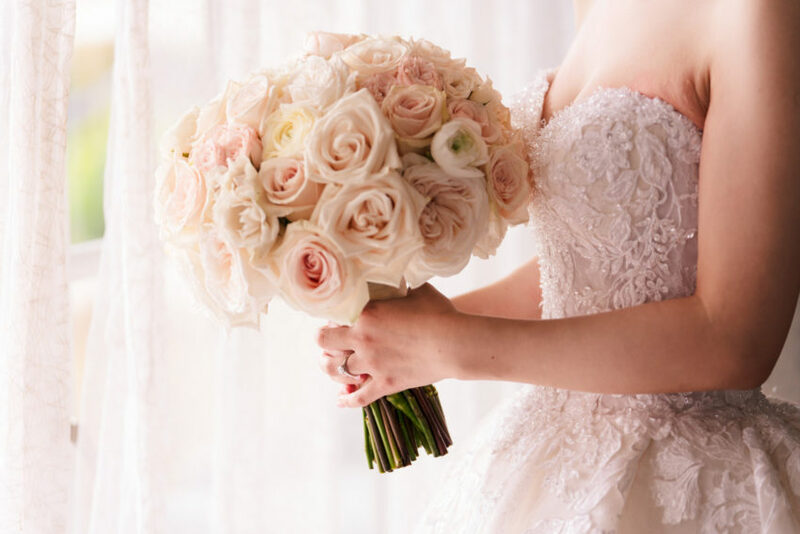 She wore a gorgeous updo with her hair tucked behind a sparkling tiara and held her bouquet in soft ivory and blush hues close to her heart. 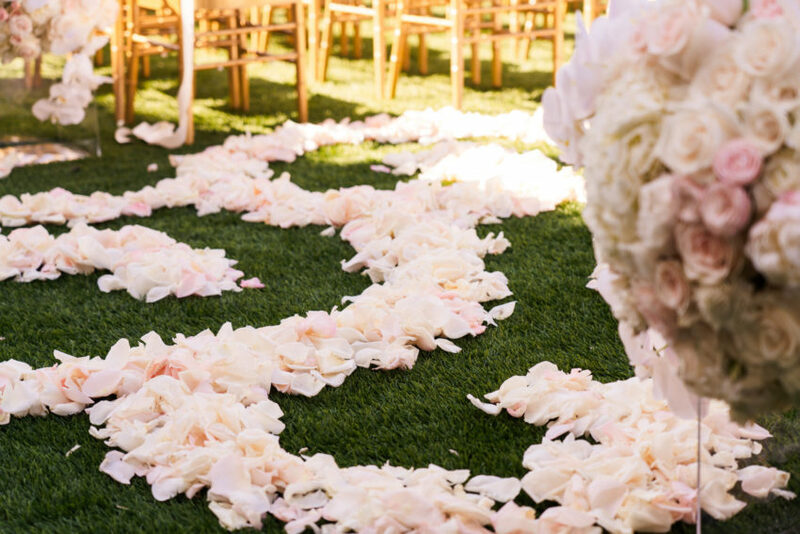 Escorted by her mother, the bride elegantly strode down the aisle, which was decorated with delicate rose petals. As he watched his wife to be walk towards him, Mike, clearly touched by Angel’s appearance, wiped away happy tears. 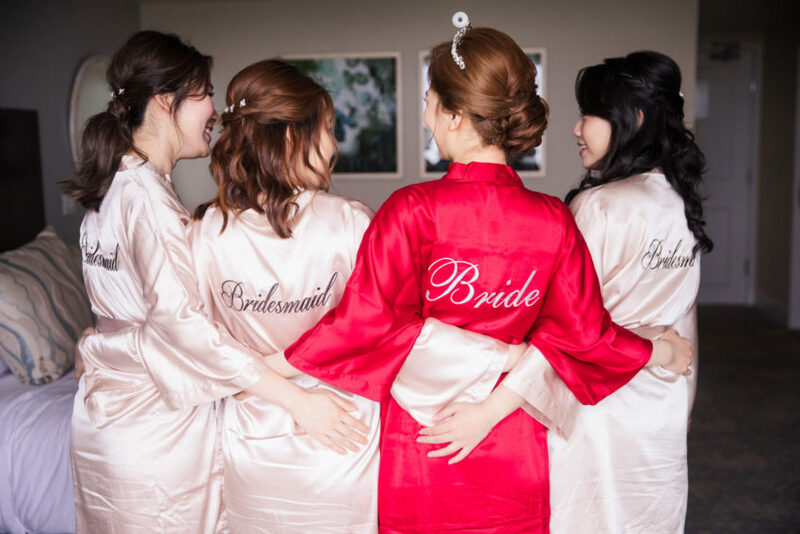 “As Angel walked down the aisle towards me, I was overwhelmed with emotions and tears streamed down my cheeks. I realized Angel was soon to become my wife and I knew my life would never be the same again. It was the happiest moment of my life,” Mike said. 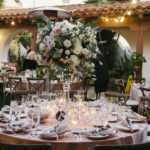 The couple chose to have an indoor reception at The Ritz-Carlton, Laguna Niguel. 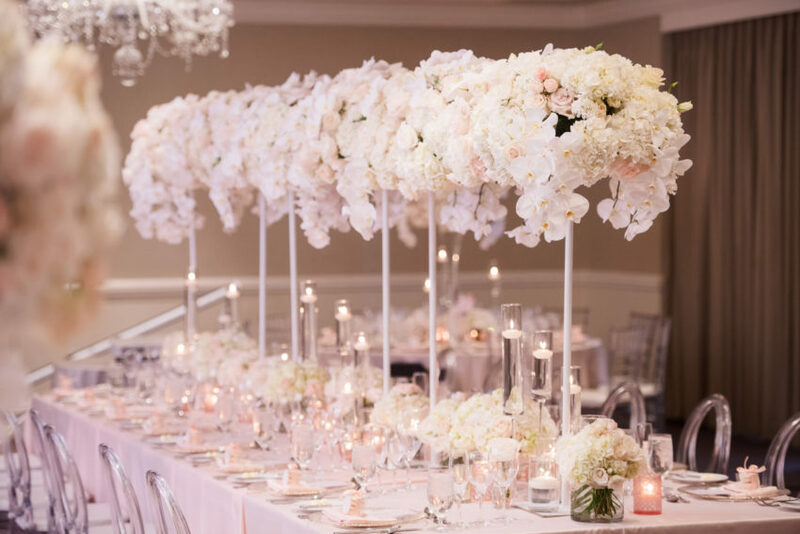 The central theme of pink and ivory was delicately incorporated into the indoor venue. 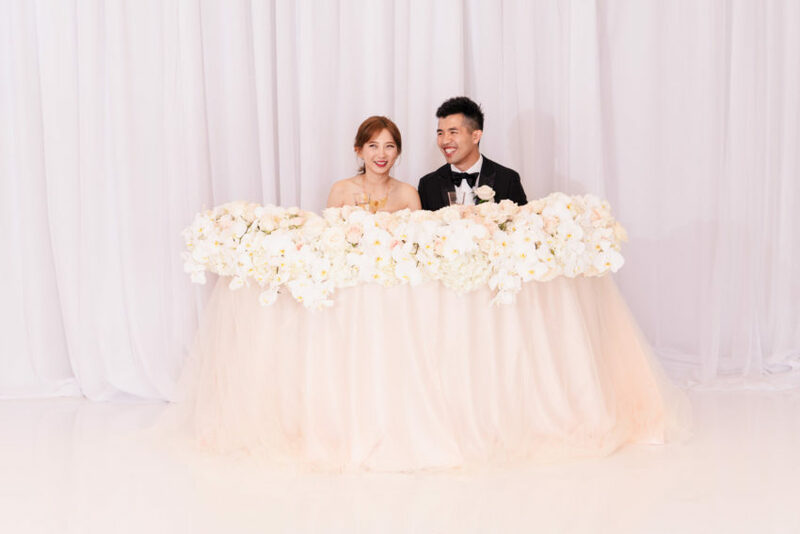 The floral designs were created by our team at Flowers by Cina. 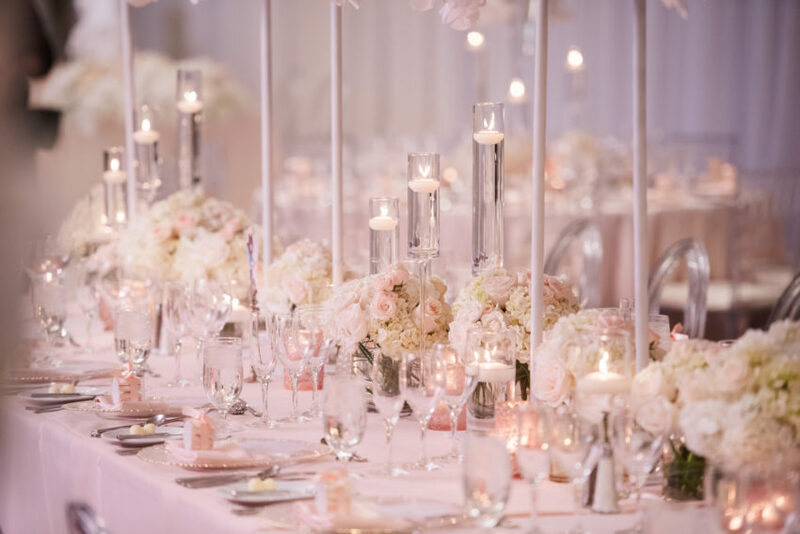 Me Weddings & Events designed the reception using clear chairs, chargers, chandeliers, and candle holders to enhance the pink and ivory hues in the floral centerpieces of varying heights. 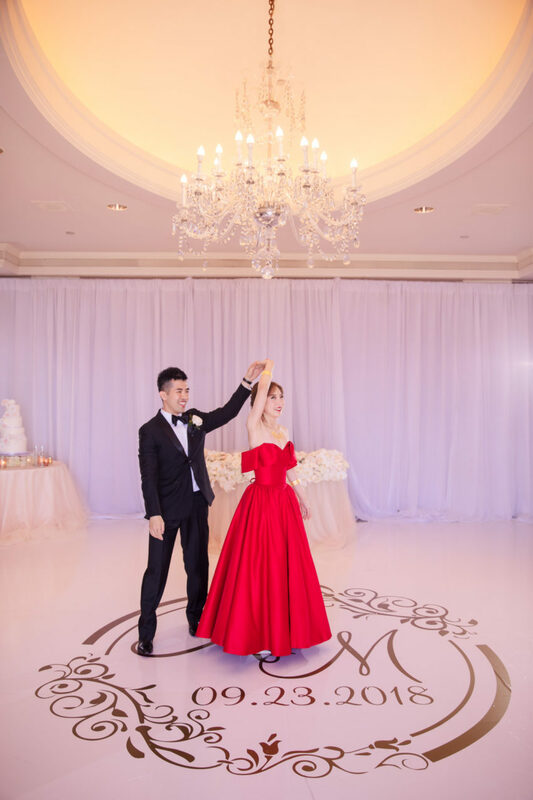 Since red is a lucky color in Chinese culture and a crucial element for the bride, pops of red were incorporated into the wedding in various, subtle ways including the mother of the bride’s dress, the soles of the bridal shoes, and the custom-made gown the bride changed into for the couple’s first dance as newlyweds. 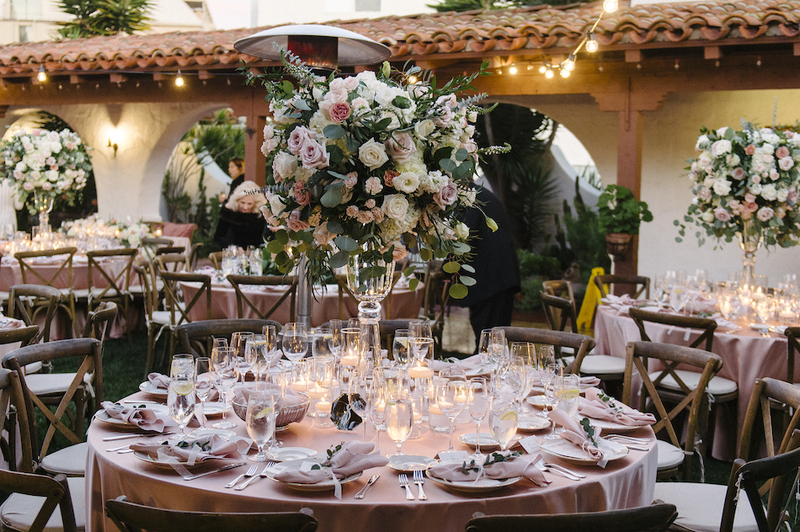 Scroll down to see more pictures from this beautiful fairytale wedding!